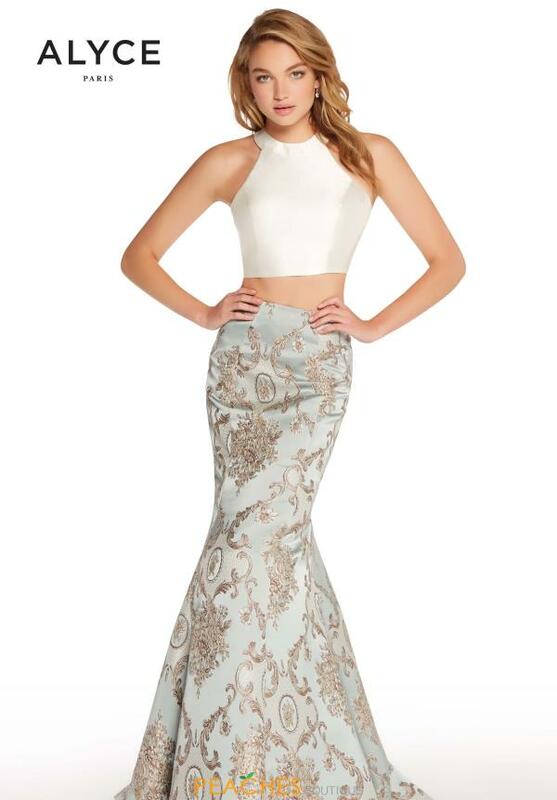 We are loving this boho chic prom dress 60120 from Alyce Paris that is sure to have all eyes on you. The solid bodice features a high neckline and triangular cut out along the back. The mermaid silhouette along this two-piece showcases a breathtaking tapestry inspired pattern for the perfect detailing. For more two-pieces, stop by Peaches Boutique in Chicago.